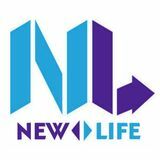 Mixes from The New Life DJ&apos;s Gerry Blythe & Ian Macbeth. This page will mostly consist of short mixes we do separately. When we work together in a proper "New Life" mix it will be longer and posted in our Soundcloud page.